What could be more spectacular than having a Boomrock wedding! 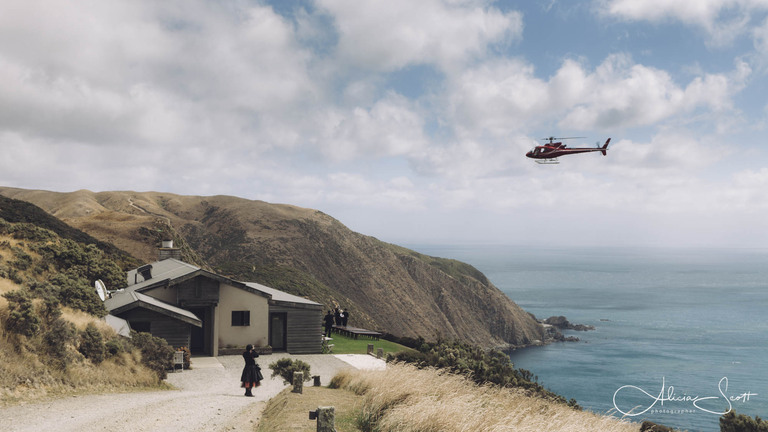 Perched above the cliff tops with stunning views out across Cook Strait toward the Marlborough Sounds, there is no other wedding venue quite like Boomrock Lodge in Wellington. On this page I give a bit of information about weddings at Boomrock, as well as Ohariu Farm weddings, and weddings elsewhere in the Ohariu Valley, such as Makara. 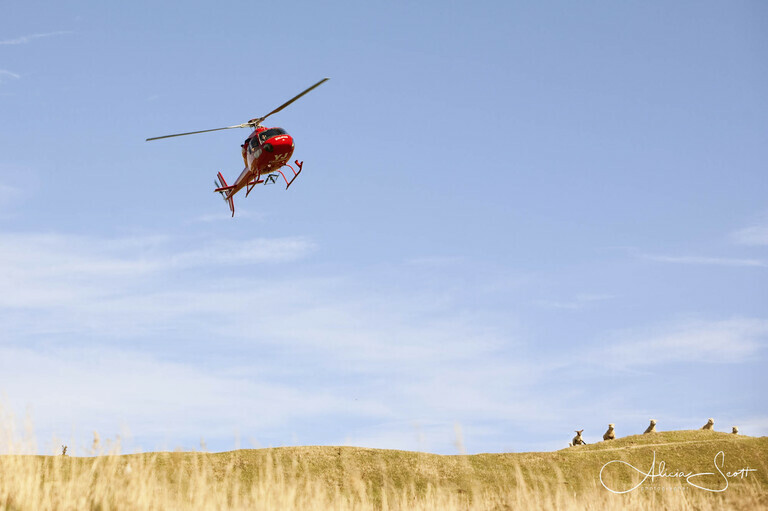 A great way to get to your Boomrock wedding is by helicopter – it’s only six minutes away from the Wellington waterfront. 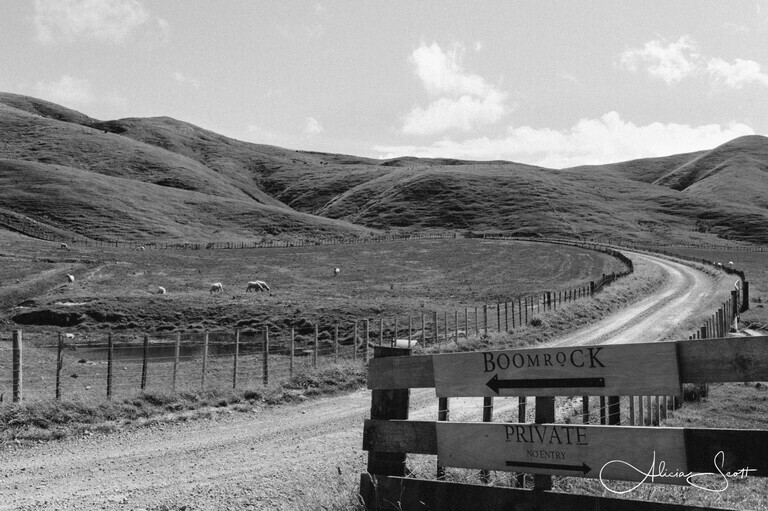 And for your wedding guests, Boomrock provides a bus from central Wellington, which goes through the picturesque Ohariu Valley before arriving at the Lodge. Any Boomrock wedding can involve lots of activities, including clay bird shooting, horseshoe throwing and extreme golf. And the food from resident chef Mark Hartstonge is fabulous: sumptuous dinners and delicious canapés. There can be up to 90 seated guests, or as many as 130 in a cocktail environment. … and windy or calm! A Boomrock wedding is great for guests, kids and pets! As a showcase for New Zealand and the Wellington region, Boomrock is a fantastic place for couples or guests from Wellington, from throughout New Zealand, and from overseas. 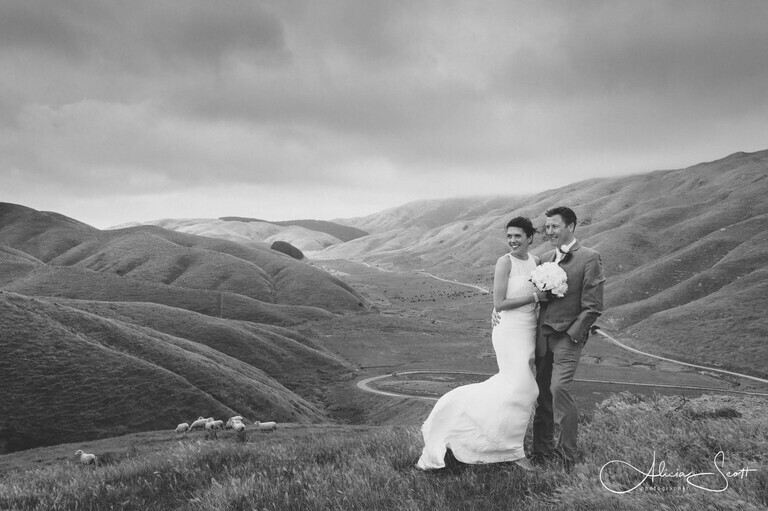 It’s a great wedding venue for a New Zealand destination wedding. It’s family friendly, and Boomrock also provides a warm welcome for your furry friends too! Overall, covering a Boomrock wedding is one of my favourite things to do as a wedding photographer. Here is a link to Boomrock’s website. But Boomrock is not the only wedding venue in the Ohariu Valley. As well as being another great option for a Wellington wedding ceremony and reception, Ohariu Farm includes onsite accommodation – a cute little rustic farm cottage. Here is a link to Ohariu Farm’s website. Finally, for those couples who are wanting a church wedding, look no further than the small and lovely St. Patrick’s Church in Makara, which is also in the Ohariu Valley. Built in 1873, it is one of the oldest wooden churches still standing in the North Island. Here is a link to St. Patrick’s Church. Here is a link to a selection of Ohariu Farm and Boomrock weddings that I’ve covered. I hope you enjoy them! However, if you are thinking about a wedding closer in to the city centre, then you could check out my page on weddings in Wellington City. Heading in the other direction, you might be thinking of getting married in Marlborough or the Wairarapa. Also, you can find a slideshow of a small selection of some of my favourite recent wedding photos taken in the Wellington region, and beyond, on my wedding folio page. And if you are interested in an engagement photography session, then check out my engagement shoot page. If you’d like some info about my wedding photography packages and current prices, please fill in the form on my Contact page. Finally, thanks to all the wonderful couples whose wedding images are featured on this page: Al and Caro, Scott and Kelsey, Kathryn and Zach, Richard and Grace, Matthew and Rachel, Sarah and Gareth, Chris and Allie, Ben and Courtney, Simon and Emma, Nik and Joanna, Keith and Cara, John and Debra, Nobu and Leema, Jake and Kel, Andrew and Rining, Andrew and Lindsay, Todd and Rachel, and Rach and Owen!